Every Windows user knows the importance of keeping the OS up to date. 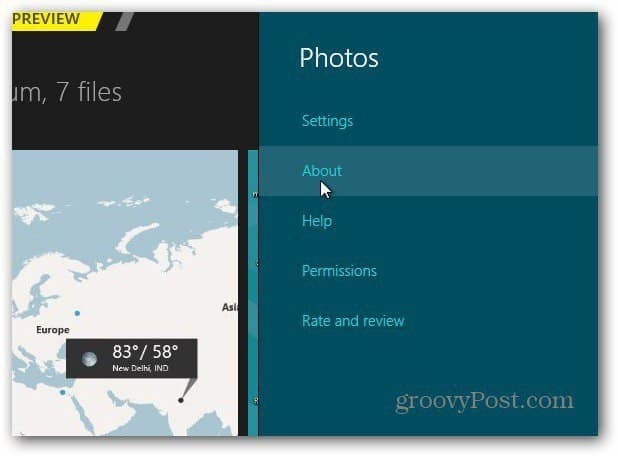 Now that Windows 8 features apps, they need to be updated too. It’s easy, and here’s how. Getting the latest Windows Updates is extremely important for keeping a secure and stable system. 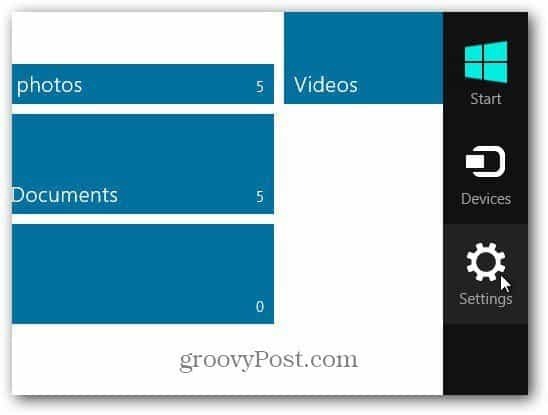 Now with Windows 8, you’ll need to keep Apps up-to-date too. 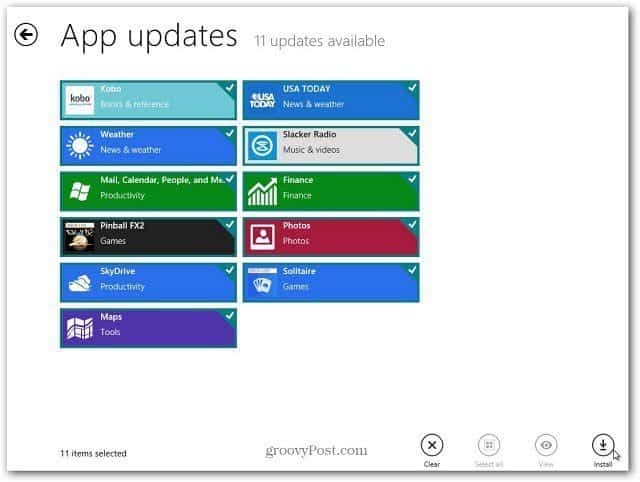 Updating Windows 8 apps updated doesn’t have as much to do with security, but stability and having extra features. Updating your Windows 8 apps is easy. 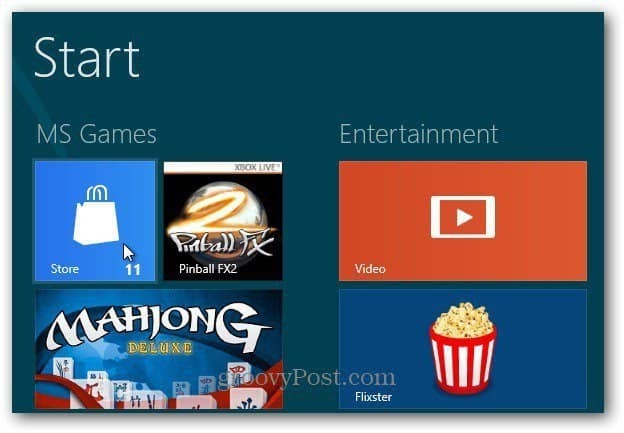 From the Metro Start screen, click or tap the Store tile. You’ll see the number of apps that have updates ready. In this example there are 11. On the next screen, tap or click on Updates. 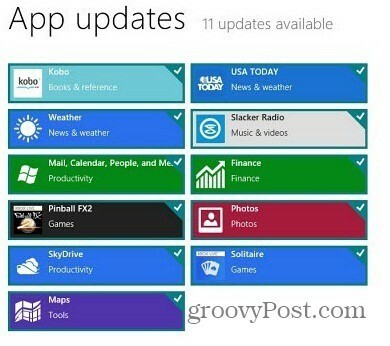 These app updates included updates for Windows 8 Consumer Preview Weather, Mail, Calendar, SkyDrive and more. They are all checked by default. If you don’t want to updated an app, click it to remove the checkmark in the upper left corner of each. At the bottom, click Install. To find the version of an app, click to open it. Hover your mouse in the lower right corner to bring up the Charms bar. Click Settings. 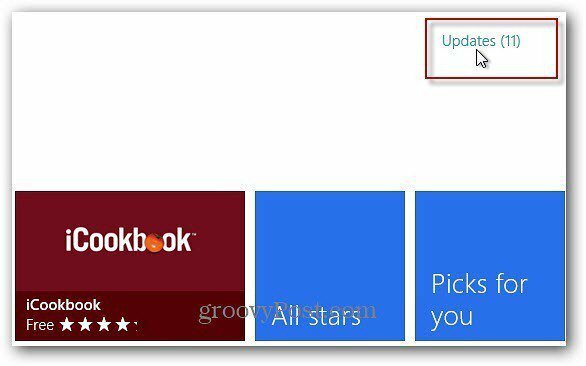 Next click on About or Permissions. 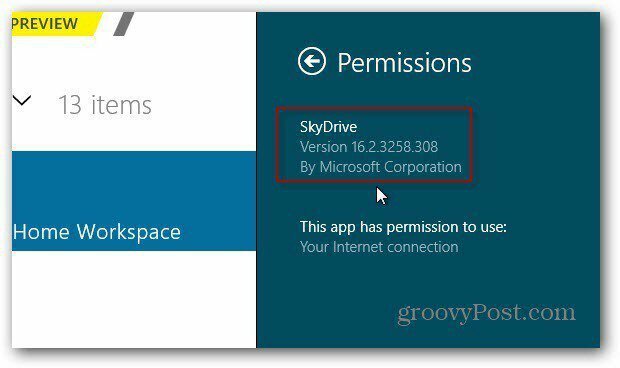 Some apps display an About link, while others display Permissions. There you’ll find the version of the app.